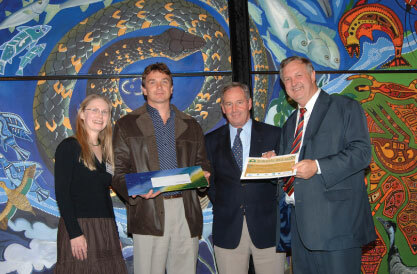 The Ningaloo Turtle Program (NTP) was the winner of a Commonwealth Government Landcare award in the category of Community Coastcare in 2005. The award recognised community groups who invested valuable resources into preserving the environment for future generations. The NTP was also the recipient of a Western Australian Coastal Award in the category of Outstanding Monitoring and Identification Coastal Project presented by the Department of Planning and Infrastructure.